I have been in love with theme parks all my life. The coasters and dark rides and entertainment… But what really gets my juices flowing is how it all comes together. How a park is created, operated and maintained has been an endless source of fascination for me. Five years ago, I got to meet someone who was given the chance to do just that. Hard Rock Park came from the mind of primarily one man: Jon Binkowski. Jon was able to conceive, build and open the park he wanted to build. With very little corporate oversight – Jon created a park that was ground-breaking, edgy and even a bit eccentric. He called the shots on everything from theming of the lands, to writing all-new shows. He oversaw the creation of restaurants, employee costumes and even the restroom stalls. For better or worse, Hard Rock Park was Jon’s baby. He poured years of his life into the project and gallons of blood, sweat and tears, and then had to watch as his brainchild closed after only 4 months of operation. Jon Binkowski didn’t set out to build a Rock N’ Roll theme park. Rock found him. He grew up in San Diego, California near Sea World. Most of his family worked for the park, so when he became old enough, he got a job in the entertainment department. Binkowski started at the bottom, portraying walk-around character ‘Pete the Penguin’, then moved on to ‘Sir Winston Walrus’. Jon worked his way into management in the character department and climbed the ladder until he was Corporate Head of Entertainment for all Sea World Parks. Finally Jon left the company to start his own business: Renaissance Entertainment. They created major shows and attractions for the biggest names in the industry: Disney, Six Flags, Universal and others. Jon produced Baywatch at Sea World for all four parks simultaneously. His team wrote, produced and directed the original Dixie Stampede Dinner Show for Dolly Parton. They wrote, produced and installed the successful Ghosts of the Queen Mary haunted attraction in Long Beach, California, and Pirates!, a 4D film that was shown in Sea World and Busch Gardens parks worldwide. Then, with the tragedy of September 11, the funding for every upcoming project shriveled up. 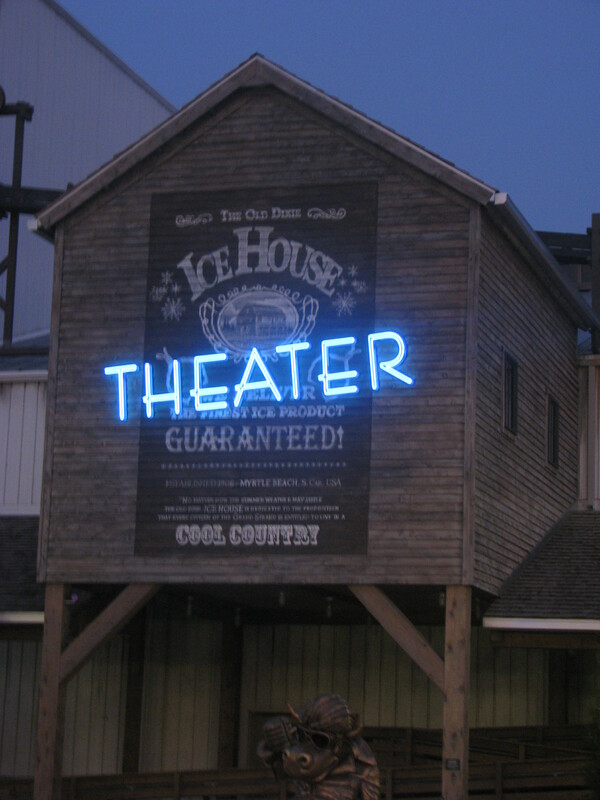 Jon’s only remaining asset was an ice skating show housed in a theater near the Waccamaw Factory Outlet Mall in Myrtle Beach, South Carolina. 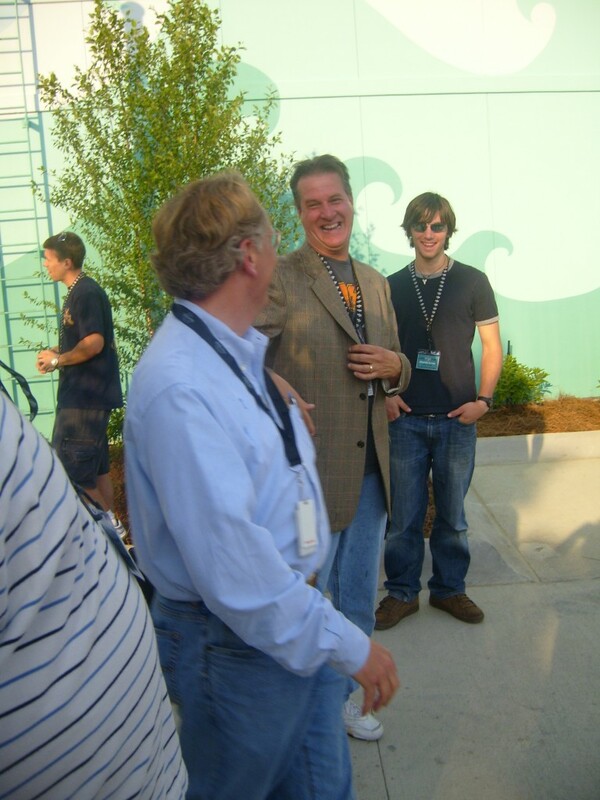 New hope arrived when South Carolina businessman George Bishop announced that he would invest in the area, and Jon’s theater was earmarked to become part of an entertainment complex called Fantasy Harbor. This new theme park was going to have four themed lands based on the seasons of the year: spring summer, winter and fall. Unfortunately, Bishop passed away before Fantasy Harbor could be realized, but not before he provided the funding for roads, power and sewers for the project. With those pieces in place and his theater as a foot-hold in the area, he brought Steven Goodwin aboard to help finance the project. Goodwin was able to secure some of the needed financing – but not enough. 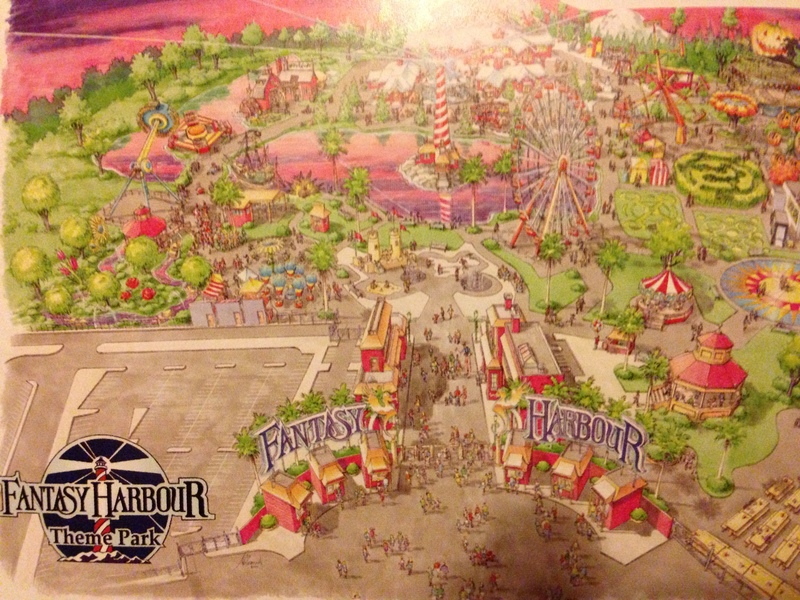 Fantasy Harbor was a theme park, but that theme was too generic with rides that were too similar to ones that could be found at go cart tracks and amusement centers just down the road. 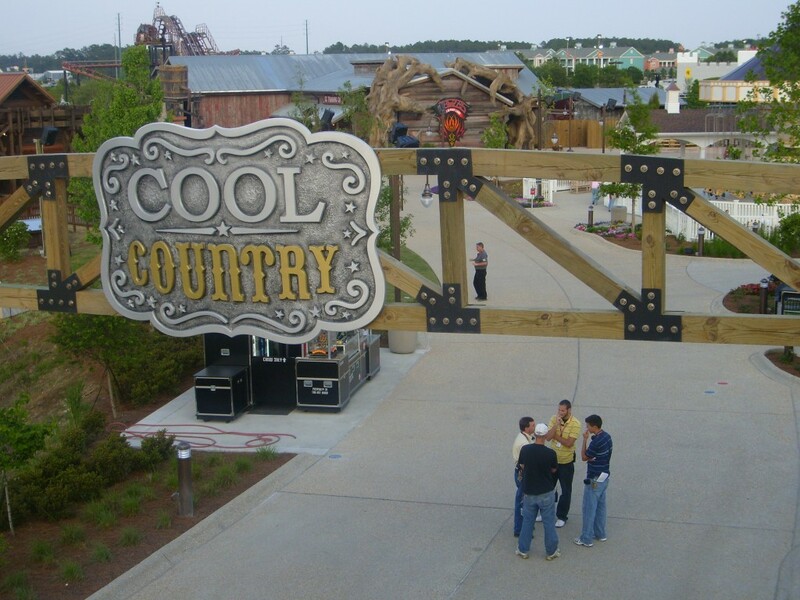 The private investors they approached were unanimous: they were willing to invest big bucks in a theme park in the heavily-visited Myrtle Beach area, but it needed a stronger central theme and a name that people were familiar with. It needed to be branded. Jon thought of building a movie studio theme park. But Universal, Disney and Warner Brothers had their own parks and weren’t interested in expanding, while Paramount and MGM couldn’t be coaxed into getting into bed with those ‘theme park guys’. Not in the post 9/11 economy, anyway. So Binkowski went back to the drawing board. Undaunted by business and practical considerations, Jon created the basic layout of a park that included coasters, shows and even a parade route – all based around a central theme that had never been tried before as the basis of an entire theme park: music. But the bigger problem still remained, Jon knew he still needed that ‘big name brand’ if he wanted the investors to hand over the dough. And then the light bulb went off! Jon’s associate Steven had been working for the Rank Group which owned Hard Rock International. He’d helped develop and build the Hard Rock Hotel, the new Hard Rock Cafe and the Hard Rock Live! venue at Universal Orlando. And when Steven gave Jon the name of Hard Rock’s V.P. of Franchise Operations – Oliver Munday — Jon’s jaw hit the floor… because Munday was his literal next door neighbor in Celebration, Florida. The next day Jon knocked on his neighbor’s door with a bottle of wine and a binder full of plans. 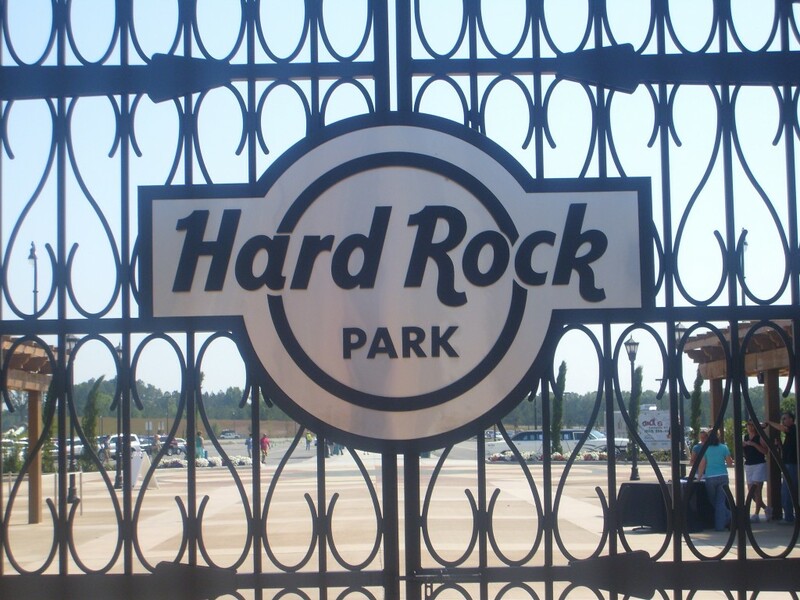 And two months later, thanks to Steven’s experience in how Hard Rock worked from the inside, a licensing deal was reached between Hard Rock International and Renaissance Entertainment to create Hard Rock Park in Myrtle Beach, South Carolina. And Jon’s dreamed-off Hard Rock Park closed on September 24th, 2008, after less than 4 months of full-tilt operation. What happened? Were the rides not tall and fast enough? Was it the financing? The marketing? The economy? The location? Was it too expensive? Too edgy? It’s any of these issues. It’s all of them. Over the next few weeks TPU will take a look at the rise and fall of Jon Binkowski’s 400 million dollar dream that went belly-up before it got a fair shake. No matter what you may have heard about the park – or seen, if you were lucky enough to visit – the behind-the-scenes story is a fascinating tale… inspiring, humbling and heart-breaking. Come back next week for the next chapter. 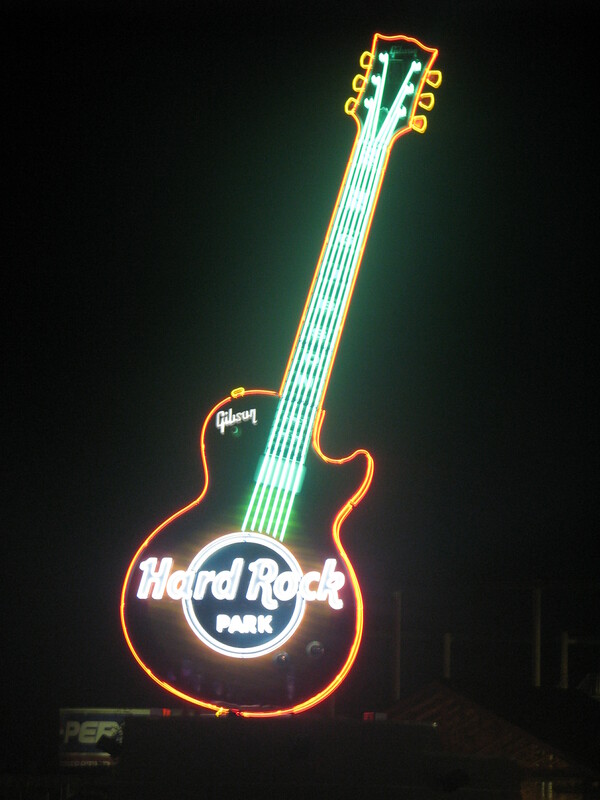 And if you got to visit Hard Rock Park? I would love to hear your thoughts about it in the comments section below. To catch the latest updates from Theme Park University, like our Facebook Page by clicking here or follow us on Twitter by clicking here!! This entry was posted in Extinct Attractions, Hard Rock Park and tagged Disney, Fantasy Harbor, Hard Rock, Hard Rock Park, Jon Binkowski, Myrtle Beach, Renaissance Entertainment, Steven Goodwin, Universal, Warner Brothers. Bookmark the permalink. Trackbacks are closed, but you can post a comment. I just wanted to say how much I have enjoyed reading your articles about this now closed park. WOW what a shame. 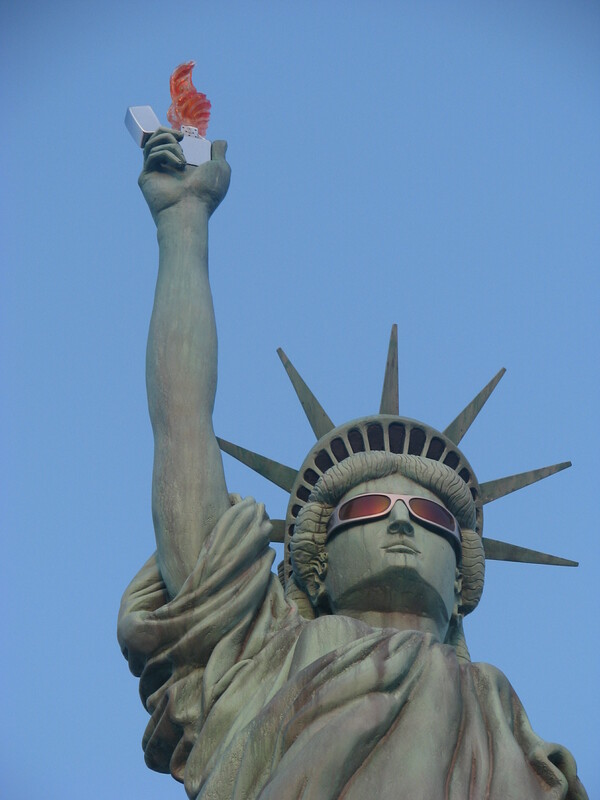 Such a great idea, truly Americana, and until your article, I am embarassed to say, I never head about it. It seems to have had all of the right ideas, people behind it, and a fantastic future. So what went wrong? Obviously alot. Just a few observations: (1) The rock-n-roller coaster is one of Disney’s most popular rides now, (2) Hard Rock seems to thrive almost everywhere, (3) Even Walt Disney knew better than to try and compete with Gods ocean. Location is everything, (4) I think the grand opening should have been billed as a Woostock Reunion of sorts. This might have helped with the initial year word of mouth/excitement about the park. (5) Were there plans for the Jimmy Henndrix Experience or anything centered around black rock n rollers? I still have hope that someday, this concept can be revived somewhere. There are bits of it all over at various theme parks which is to be expected, but a park to celebrate and enjoy rock, and music in general, has to be a winner. I would love to have seen a themed land of San Fran (1960’s), NYC music scene, Motown, etc…thanks for the great history lesson.